Most of us love to play games and spend hours on end playing them, be it on computer, mobile or video. It is so easy to get addicted to games, but does anyone think of the efforts behind the making of these games?? Making a video game is just not easy as playing a game. Designing a game is a long, multifaceted process which involves the combined effort of a team of professionals with a unique mixture of creative and technical skills. It is one of the most complex part of software development which involves various aspects of development of the game like- outlining the concept, documenting rules and principles, development of graphics and so on. Gaming is one of the largest segment of the entertainment industry and a multi billion dollar one, flourishing widely across the world. It has become one of the most highly sought after career in today's modern world with the growing demand for computer, mobile and video games. Wide access of internet has also created a huge demand for online games, and with the advent of greater technology, this industry is growing at a firm, fast pace. Gaming as such started with classic video games in 2D, but early 2000 saw the development of the more popular 3D platform. But 2D game design software has seen a revival in recent times following the development of mobile apps. A career in Gaming, is an exciting but a highly competitive field with a combination of technology, creativity and fun. It is also an amazing and interesting career for those individuals who dedicate their lives for creating new and improved games. 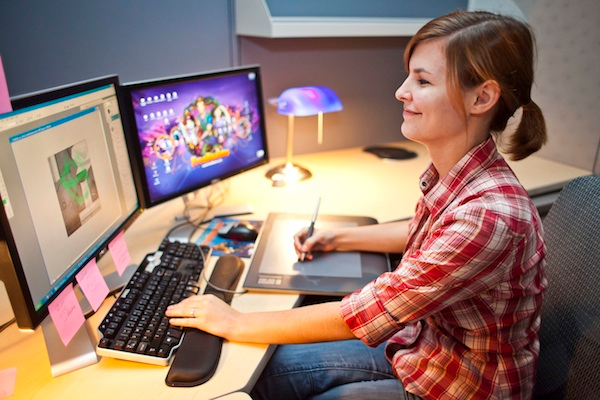 Designing is the key aspect of developing games, and it is done by a team of skilled individuals including game designers, programmers, engineers, writers, artists, producers and other staff. Each individuals work profile may vary according to their designation, but they work as a team to create video and online games, using techniques in illustration and animation, 3D and 2D design, storytelling, graphic design, web design, interactive media, digital production and more. They should have an awareness or working knowledge of programming, fine arts, framing and even software development. Game designing may be confused with animation, but there is a huge difference between both these fields. It is not mandatory for an animator to have good game knowledge, but they work together with game designers and 3D modelers to create animations for games. But a game designer must have an in-depth knowledge of games and the art of sketching. The game industry is rapidly changing on a daily basis and more and more new games are being invented. Hence numerous opportunities are available in gaming industry for those who want to be part of the excitement of creating video games. But for obtaining a job one must be highly skilled and talented, as the employers strongly weigh talent, and demonstration of applied knowledge. Overall, Gaming Industry is growing into a lucrative and happening career for youngsters, who posses heavy coding and programming skills along with a passion for game and creativity.